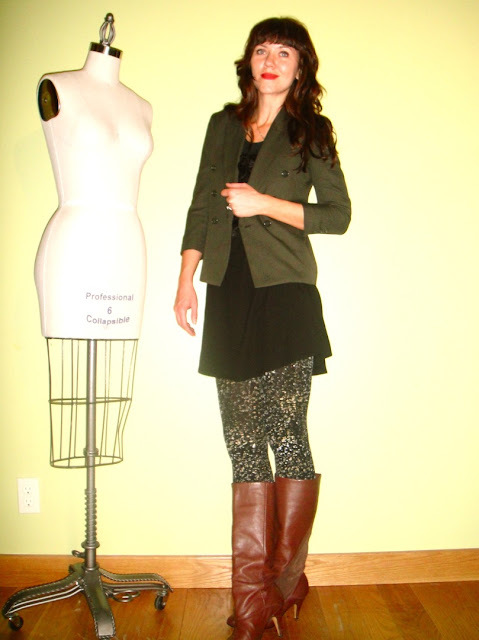 Christina of Second Skin has been wanting a pair of We Love Colors tights for awhile! So much so that a few years ago, she tore an ad of a girl wearing a pair of our tights from an issue of Lucky Magazine and placed it in her inspiration notebook! Little did she know that we'd be asking if she'd like to try out our tights shortly after. When we did, she was more than happy to and has fallen in love with them. She's styled our Silver and Gold Rain Splash Metallic Tights beautifully with earth tone colors. Just check out her post to see what I mean. Thanks Christina and keep up the great work!